These Easy Three Ingredient Smoothies could not be more simple! Plus with at least 14-15 grams of protein each and less than 300 calories, they are a total win! 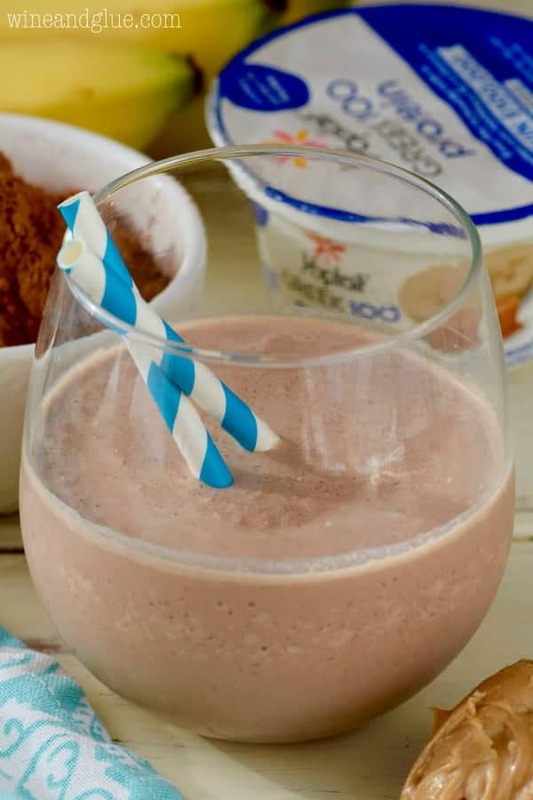 I’m so proud to be partnering with Yoplait to bring you these awesome smoothie recipes. Thank you for supporting the brands that make Wine & Glue possible! So did you guys make any resolutions this year? I really . . . didn’t. Maybe this is a cop out, but I didn’t really want to improve one specific thing. For me . . . . I want to improve all the things. #TypicalTypeA. Okay, but seriously, towards the end of last year with my business going great, three really active little kiddos, and us getting our house ready to sell I was feeling . . . tired. Happy! But tired. Like I wanted to do everything perfect all the time, but I think sometimes that leaves me feeling like I’m not actually doing anything perfectly at all. When Yoplait asked me to share how I’m planning to #LiveFull this year instead of making a resolution for 2017, I wanted to focus on balance. On living all areas of my life more fully. Like it’s great to have really happy healthy kiddos, but if I’m so tired, I can’t even enjoy them. And it’s great to have a thriving business, but if I don’t have the time left over to have a personal life . . . I mean, that kind of defeats the purpose. So in 2017, I’m going to work on balance. I’m going to work on giving more of myself to the thing that is going on in that moment. Isn’t it so easy to get out of the moment with cell phones and tv and all the distractions you could ever want? I’m going to work on more time with friends, more time doing the things I love like reading, and crafting, and baths, and date nights with my husband, and enjoying all the things that I love about my job while I’m doing it, and then setting it aside so I can totally love on my kids. And part of doing all that for me is eating well balanced as well. You guys, Yoplait has this new yogurt that I’m totally in love with. I first told you about it while I was sharing these super cute Christmas ornaments, but I have since fallen so deeply in love with it. My fridge is FULL of it. 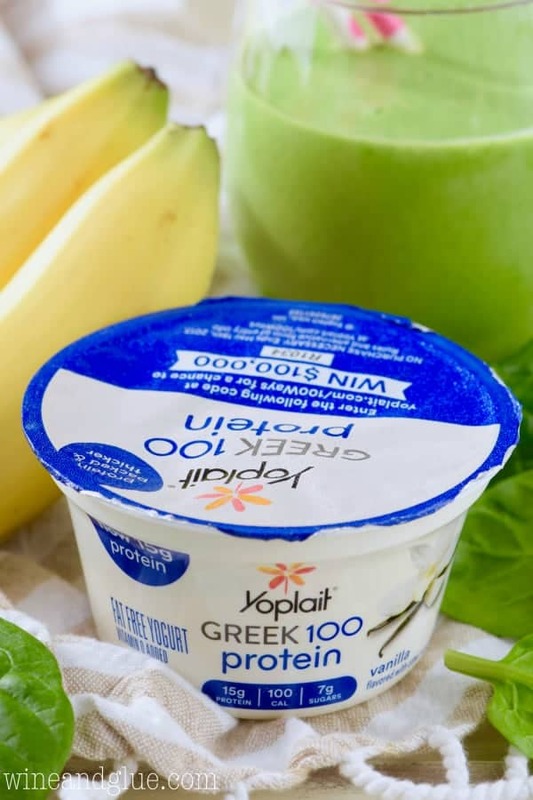 It’s Yoplait’s new Greek 100 Protein. And it is amazing. Each one has only 100 calories but either 14 or 15 grams of protein. It leaves me feeling full, so I really can be giving all of myself to what I’m doing . . . I have the tendency to go hangry otherwise. And it can help power your #LiveFull goals as well! 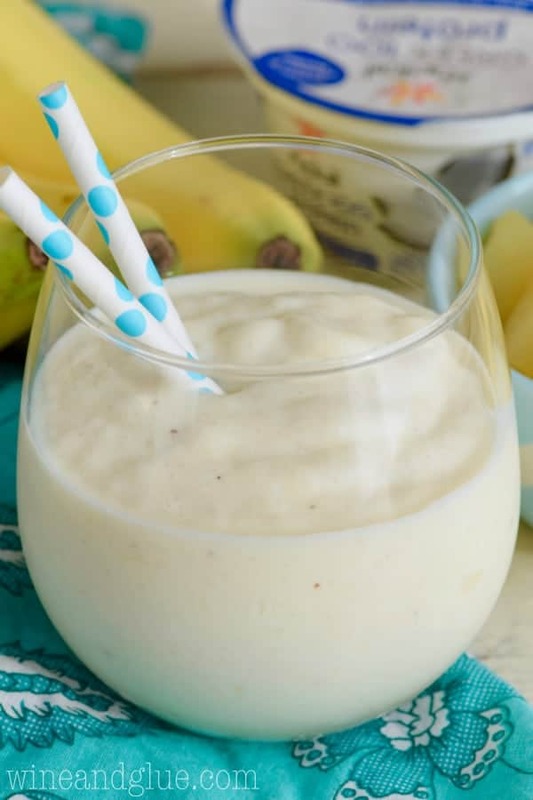 I threw together these three ingredient smoothies with some of their different flavors, but with 20 different flavors of Yoplait Greek 100 Protein, this is just the beginning. Each one of these smoothies has at least 14 grams of protein and all of them clock in between 200 and 300 calories. 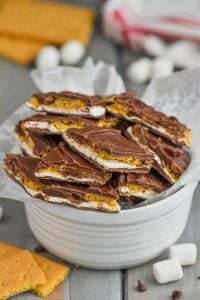 (Please note that calories are variable depending on what brands of other ingredients, such as peanut butter or oats, you use.) Such a win! 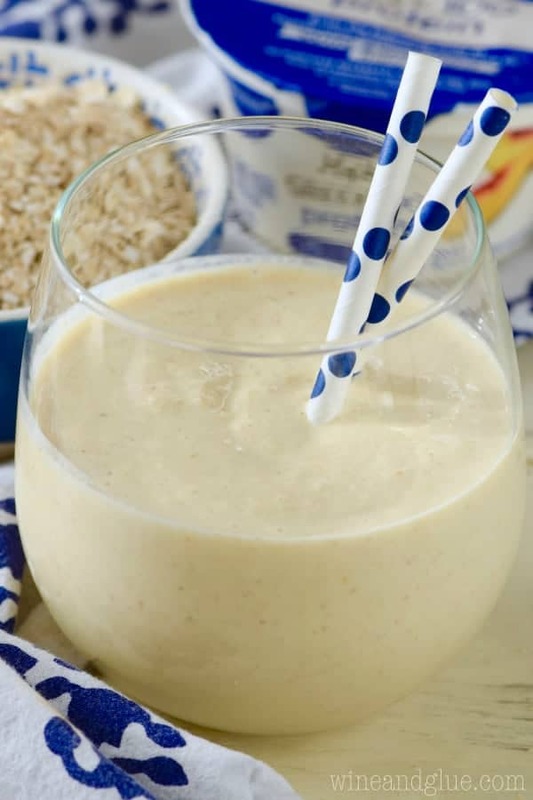 With each one you just combine all the ingredients in a blender and puree until smooth! 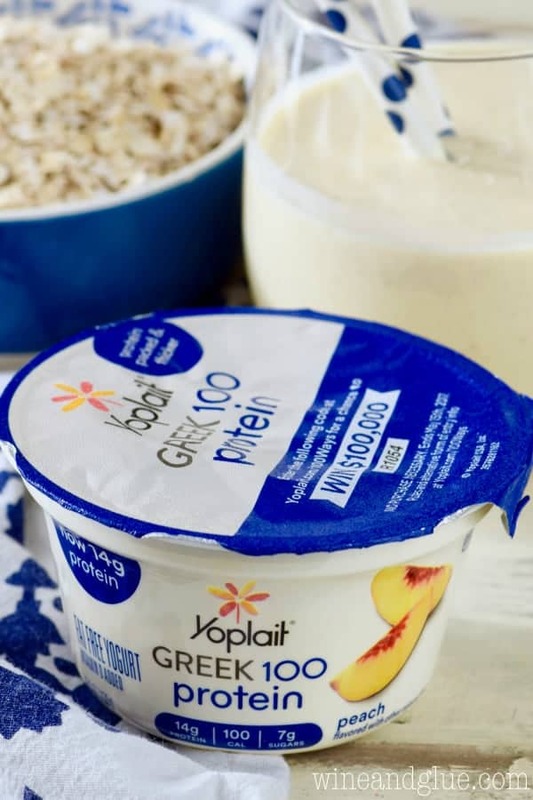 Made with Vanilla Yoplait Greek 100 Protein, this one is my favorite! 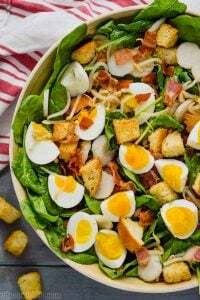 It is loaded with spinach, but doesn’t have an overwhelming spinach flavor. It’s so delicious! 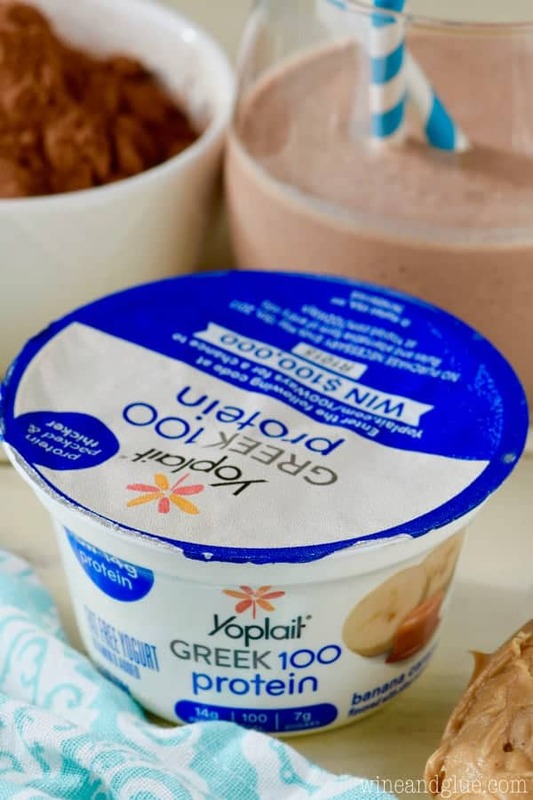 Made with Coconut Yoplait Greek 100 Protein (YUMMY), this totally tastes like a treat. This is going to be my new favorite afternoon pick me up! If you aren’t familiar with Funky Monkey, it is the ever loving combination of chocolate, banana, and peanut butter. I mean . . . is there anything better? So this starts with Banana Caramel Greek 100 Protein and then you throw in some unsweetened cocoa powder and a little peanut butter and you get the most delightful of funky monkeys. This one starts with Peach Greek 100 Protein and tastes almost like a peach cobbler. It is so delicious and so filling! 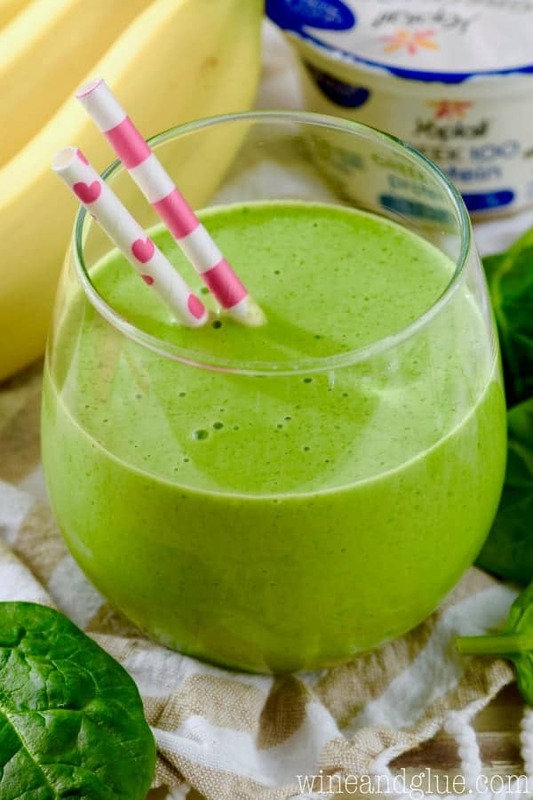 My hope is that these smoothies keep you all feeling full, in such a light and easy way, that you can go about living your life more fully and balanced too. What do you want to do in 2017 to live more balanced, to live more full? Be sure to share on social media with #LiveFull! 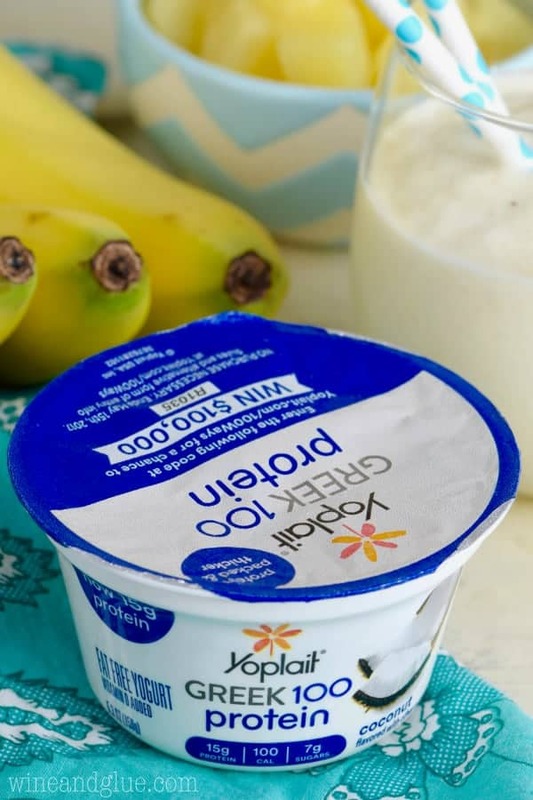 For more awesome snacking ideas, be sure to follow Yoplait on Facebook, Twitter, Instagram, and Pinterest! Check out their 100+ flavors HERE! These sound so delicious! 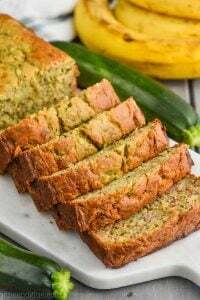 What could I use to replace bananas? I’m allergic to them so I have them mixed with anything 🙁 Thanks!! One has banana in the yogurt, so just skip that one 🙂 But the other two that call for banana I think would be great with mango! Fresh or frozen! If I don’t like the taste of the yogurt, what do you recommend substituting it for instead that’s also healthy? Dani, yogurt hasn’t always been my favorite either, but I honestly LOVE Yoplait’s Greek 100 Protein. Like I want to eat it all the time. I would give one of these a try, because you are just buying one small container. Otherwise, I’m not sure I’m much help. I can’t think of anything else that has this much protein, but so few calories. My kids adore smoothies. These all look like they’d gobble them up! I need to try that Funky Monkey Smoothie immediately. Love the name. I love when healthy food tastes like dessert. Makes you feel like you’re winning at life. Or at least breakfast. Ha! Can’t wait to try your smoothies. We love this brand, it’s wildly popular in Canada. I have it in my fridge constantly. 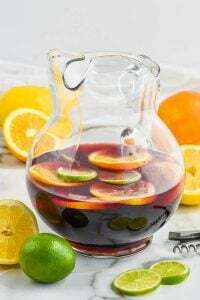 Tastes amazing and helps soothe the IBS beast. Thank you Kim!! I love Yoplait! And these are seriously my new favorite snack. I’m sorry, Teresa, I don’t have that information. I use My Fitness Pal app often and really love the data I get through that.